Pope Francis has announced the opening up of the Vatican’s secret archives to scholars, covering the period of the Second World War, beginning in March 2020. The Pope made the announcement on Monday when he met with officials working at the Vatican Secret Archives. The audience marked the 80th anniversary of Pope Pius XII’s election on 2 March 1939. “The Church is not afraid of history,” Pope Francis said during the audience. “On the contrary, she loves it, and would like to love it more and better, as God does. So, with the same trust of my predecessors, I open and entrust to researchers this documentary heritage,” the Pontiff said. Pope Pius XII’s papacy lasted from 1939 until 1958. The archival documentation covers right up to his death at Castel Gandolfo on 9 October 1958. Pope Francis said he made the decision in consultation with trusted advisers. Instead those moments of prudence were attempts — at times tormented attempts — to keep, “during periods of the greatest darkness and cruelty, the small flame lit of humanitarian initiatives, of hidden but active diplomacy, of the hopes of the possible positive opening of hearts,” he said. Critics argue Pope Pius XII did not do enough to denounce the Nazis and the Holocaust. They believe that stronger denunciations by the leader of global Catholicism would have challenged the fascist regimes in Italy and the Nazis and saved more lives. However, the Vatican has long argued that Pope Pius XII was placed in an impossible situation where the Vatican state was constantly under threat of invasion by the Nazis and so the Pope did what he could, quietly behind the scenes, to help the Jews. One of those who operated with the knowledge of Pius XII was Irish priest Monsignor Hugh O’Flaherty, who saved the lives of over 6,000 Jews and Allied POWS by hiding them in the Vatican as well as in convents and in the homes of Catholics across Rome. 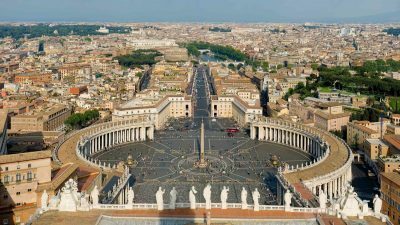 Staff at the Vatican Secret Archives have been working for 13 years cataloguing the material to have it ready and accessible to researchers. According to CNS, Bishop Sergio Pagano, prefect of the archives, said the years of work were necessary to pull together and catalogue material previously held in a variety of Vatican offices including documents from the Vatican Secretariat of State, the Congregation for the Doctrine of the Faith, records from Vatican nunciatures around the world and thousands of notes regarding Pope Pius’ charitable activity in Italy and abroad.